BJP leader Subramanian Swamy said on Thursday that if Muslim community doesn't want a compromise on the Ram Temple-Babri Mosque issue, the court is there to resolve the dispute in Ayodhya. A file photo of BJP leader Subramanian Swamy. Sounding confident of legal victory in the matter, Swamy said: "We have already won in the Allahabad high court, which has ruled that Lord Rama was born at a place of central dome as per faith." "If you talk of Hindu-Muslim unity, a mosque can be constructed anywhere, but it cannot be constructed where Lord Rama took birth," Swamy, also a Rajya Sabha MP, told reporters after his meeting with Uttar Pradesh Chief Minister Yogi Adityanath in Lucknow. Swamy said, "There was a temple where a mosque was constructed... The clerics, who are adamant, should know that." "There is a way (of settlement) through the Supreme Court. I have a fundamental right under Article 25 of the Constitution to worship at the place of my faith. I am fighting for my fundamental right, while they are fighting for property right," he said. The Rajya Sabha MP claimed that the high court had made it clear that the structure of a temple was found at the disputed site. In September 2010, a three-judge Lucknow bench of the high court had stated that Lord Rama was born under the central dome of the makeshift temple and Hindus have the right to worship there. Subsequently, the apex court had stayed the implementation of the HC decision. The case is pending since then. 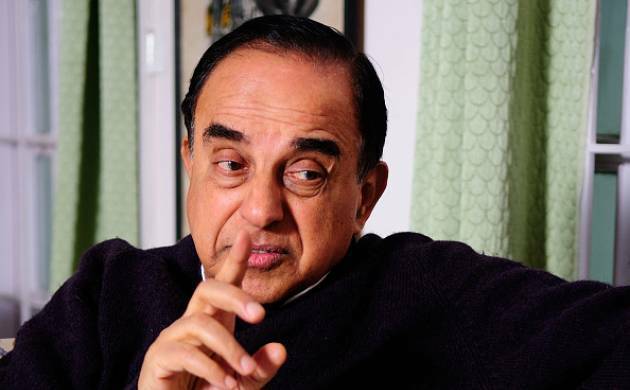 "Babri Masjid was built after the temple was demolished and the Hindu community has been demanding construction of the Ram temple for a long time," Swamy had said. "If the issue is settled amicably, it will be all right, otherwise we will enact a law to construct a grand Ram temple in Ayodhya when we get majority in the Rajya Sabha by April, 2018," he had asserted. Swamy, who was asked by the Supreme Court to talk to all parties in the dispute, said he had discussions with Muslim leaders -- AIMIM president Asaduddin Owaisi and Babri Masjid Action Committee convener Zafaryab Jilani -- over the issue. "The Muslim leaders did not agree to a bilateral negotiation but wanted mediation of the Supreme Court," he had said.